Rose Heuer, age 85, of Wilmot (formerly of South Shore) died August 18, 2018, at Wilmot Care Center. Funeral services will be held on Friday, August 24, at 10:30 a.m. at Our Savior’s Lutheran Church in Wilmot. Rev. Caleb Schewe will officiate and burial will be in the Revillo City Cemetery. Visitation will be held on Thursday at Mundwiler Funeral Home in Milbank from 5 – 7 p.m. and continue at the church on Friday, one hour prior to the service. Casket bearers will be: Justin Dockter, Spencer Dockter, Jaxen Dockter, Daniel Dockter, Allen Thompson, and Doug DeVries. Honorary bearers will be all her grandchildren and great-grandchildren, and Darci O’Farrell. Rose Marie (Behlings) Heuer was born on May 8, 1933, in Lac qui Parle County, MN. She was the daughter of Arthur Ernest and Viola Arill (Peterson) Behlings. Rose grew up in the Revillo area. She was baptized on June 4, 1933, and confirmed on May 25, 1947, at St. John’s Lutheran Church, Revillo. She attended Adams School District #6, and graduated from Revillo High School with the Class of 1951. Rose served in the United States Army, enlisting on December 17, 1951. She served in the WAC (Women’s Army Corps); she was stationed in California at a children’s hospital, during the Korean Conflict. She was discharged on March 9, 1954. Rose was united in marriage with Erwin Heuer on April 27, 1957, in Revillo. They made their home in Brookings, SD from 1957 until 1972. Erwin operated the Conoco Station with Rose’s brother, Billy, running the bulk truck. In June of 1972, they purchased the South Shore Locker Plant, in South Shore, SD. They operated the plant until Erwin’s death, on October 4, 1991. The plant closed on February 14, 1992. Rose continued to live in South Shore until August of 2004. She moved to Stockholm, SD. She resided there until her move to Wilmot Care Center on July 8. 2016. 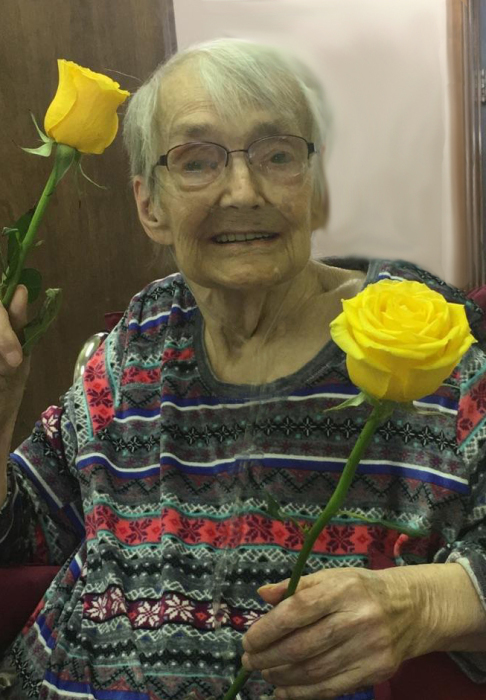 Rose loved music, especially country western music by Hank Williams, Sr. She enjoyed crafts, especially Tri Chem painting and plastic canvas. She was an avid reader and always enjoyed BINGO at the care center. She loved donuts and coffee! Through all her pain and illness, she never once complained or asked for anything. She always said she was “fine”. She had a smile on her face – always - and her sweet personality won the hearts of all who knew her. Left to cherish her memory are her six children: Lonnie (Shirley) Heuer of Lakewood, CA; Renata (Jim) VanDriel of Mitchell, SD; Myra “Jeep” (Allen) Thompson of Strandburg, SD; Rita (Randy) Schmeling of South Shore, SD; Kelley Heuer (Wes Simonton) of Watertown, SD; Rozana “Pinky” (Daniel) Dockter of Wilmot, SD; 21 grandchildren; 27 great-grandchildren; siblings: Lyle (Janet) Behlings of Milbank, SD; Roger Behlings of Custer, SD; Phyllis Silberstein of Milbank, SD; Donna Poel of Milbank, SD; brother-in-law, Dale (Sherri) Heuer of Osakis, MN, as well as, nieces, nephews, other relatives, and friends. Rose was preceded in death by her parents: Arthur and Viola; husband, Erwin; brothers: Billy Behlings and Willis Behlings; sisters: Norma Aden and Sharon Ferber.